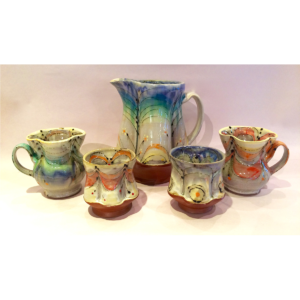 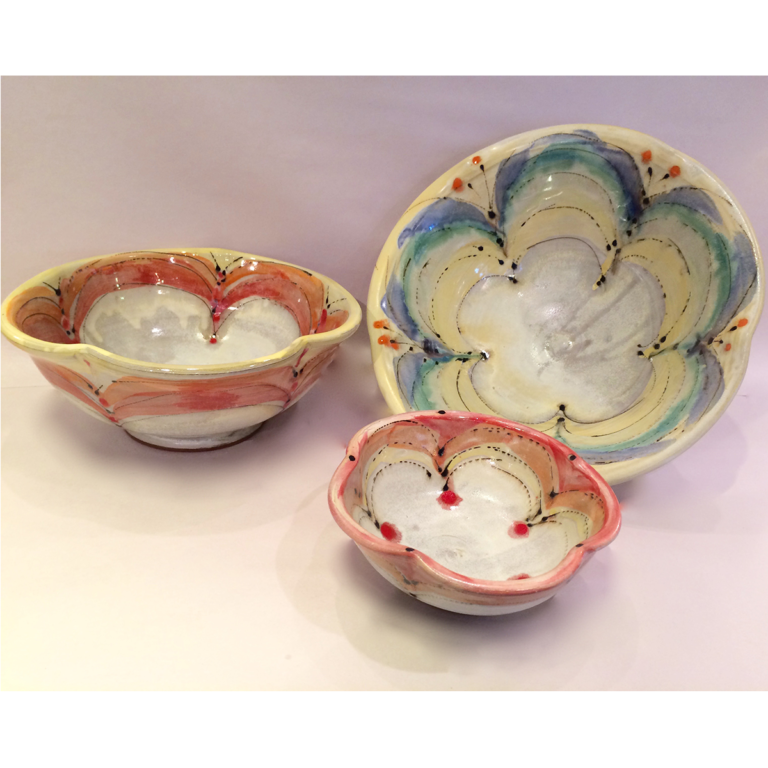 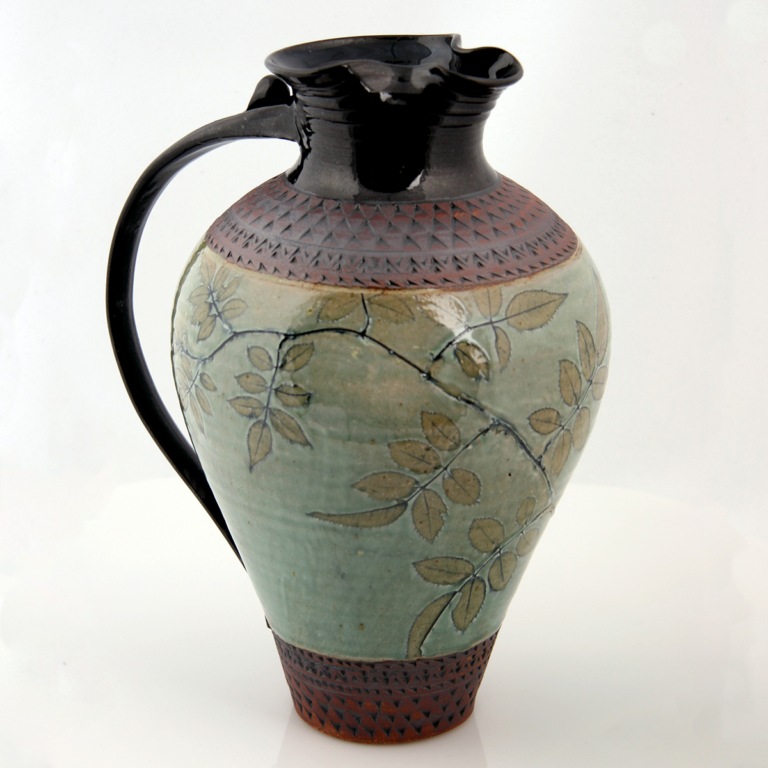 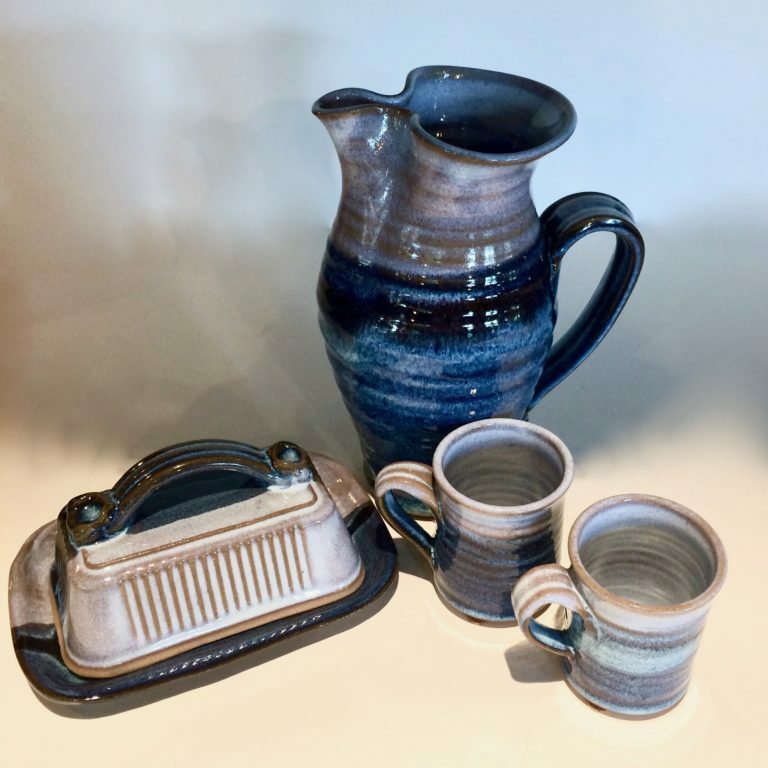 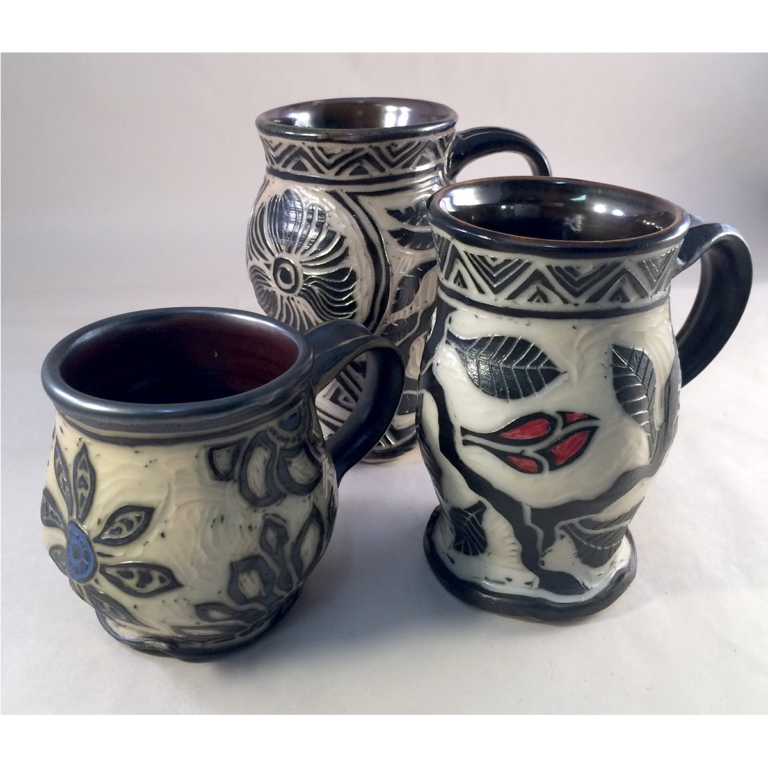 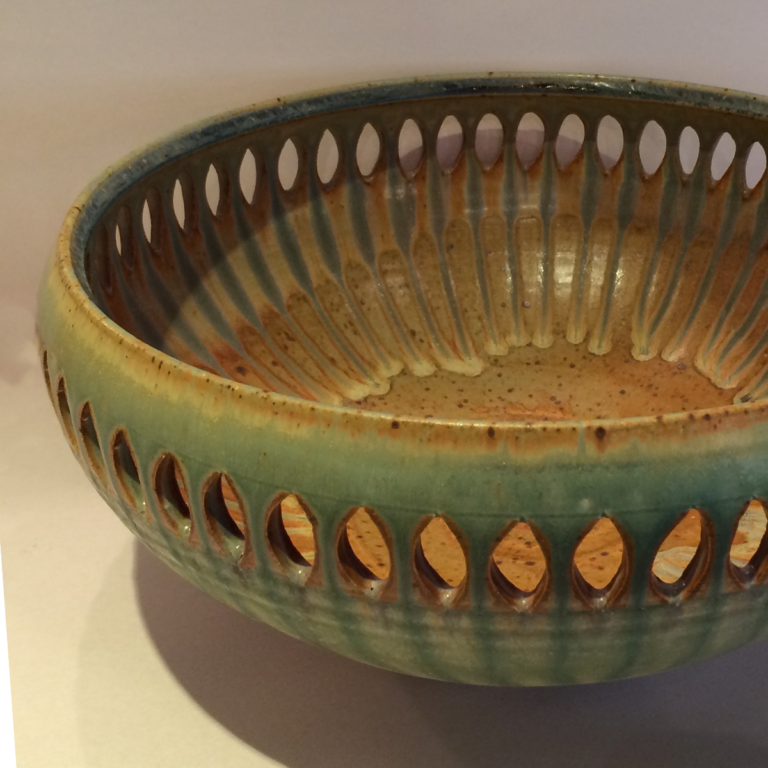 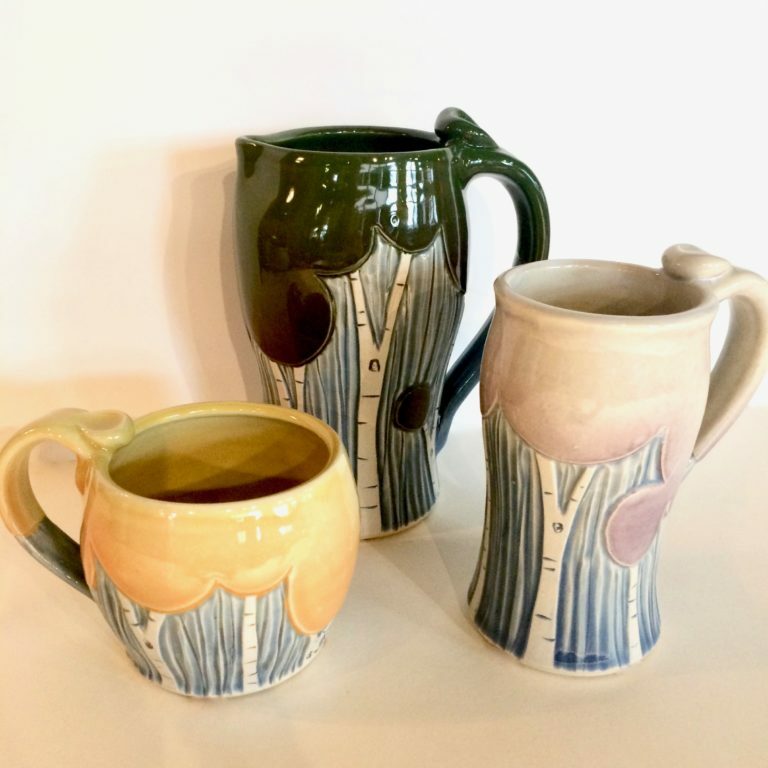 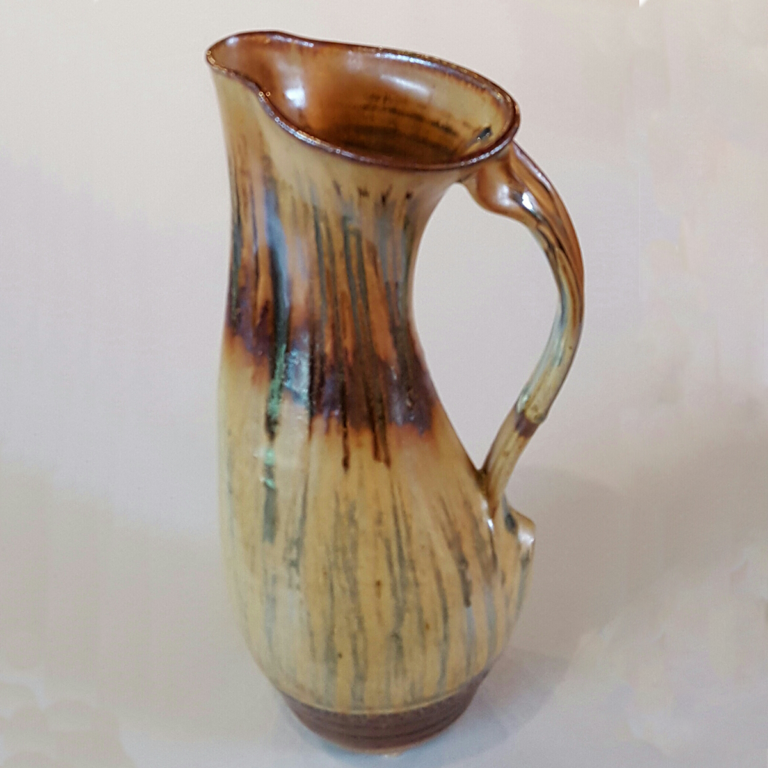 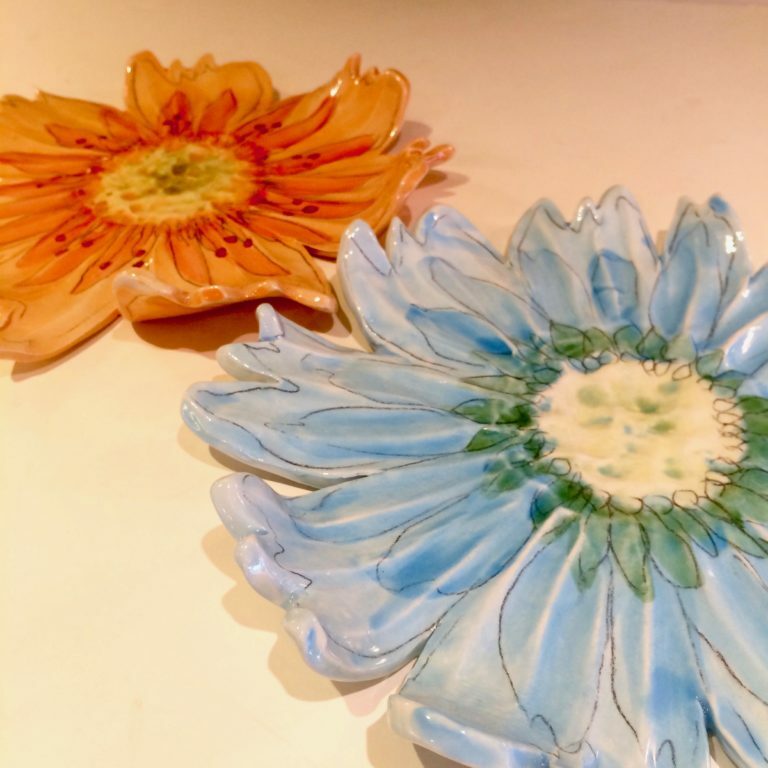 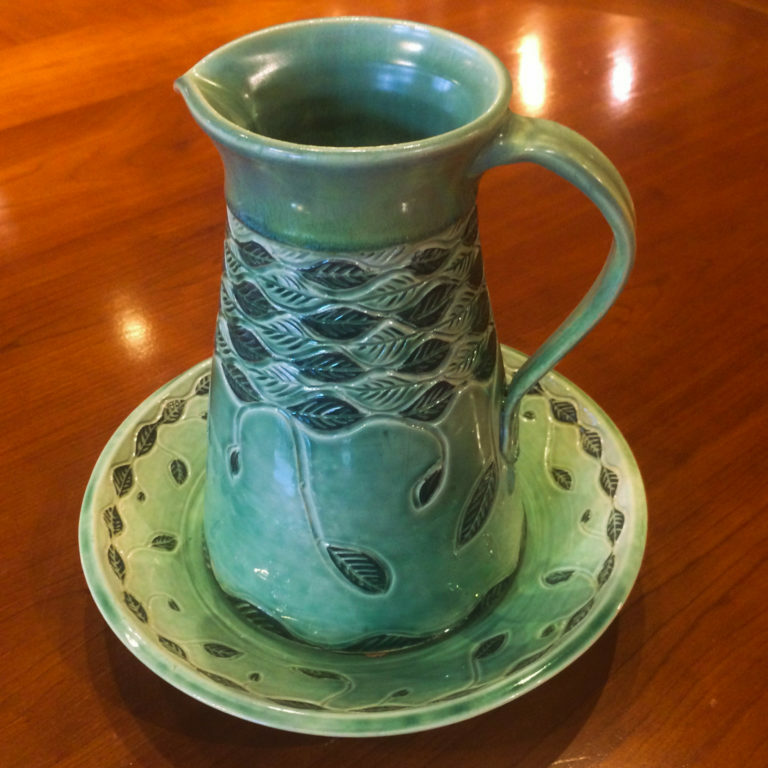 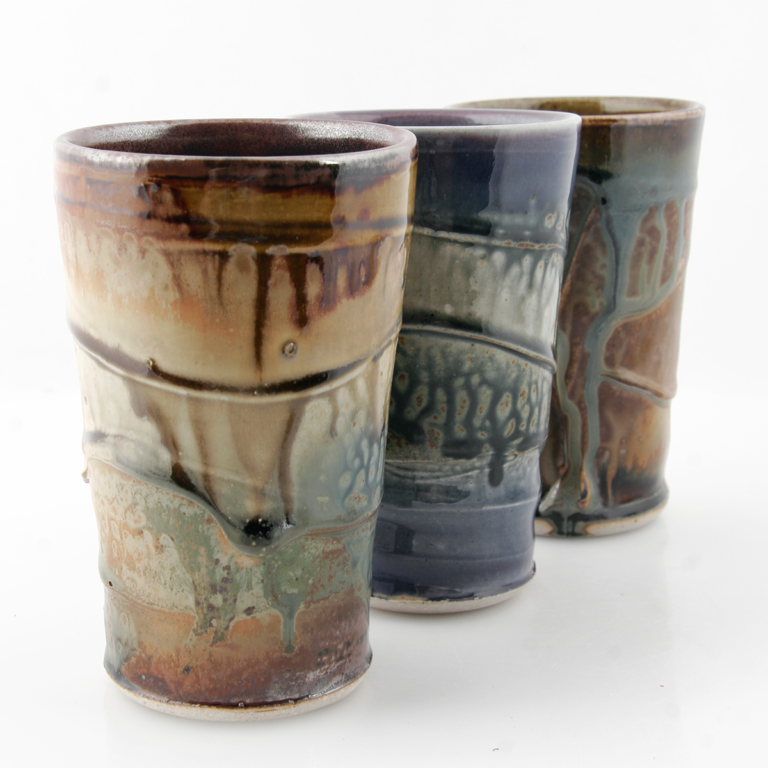 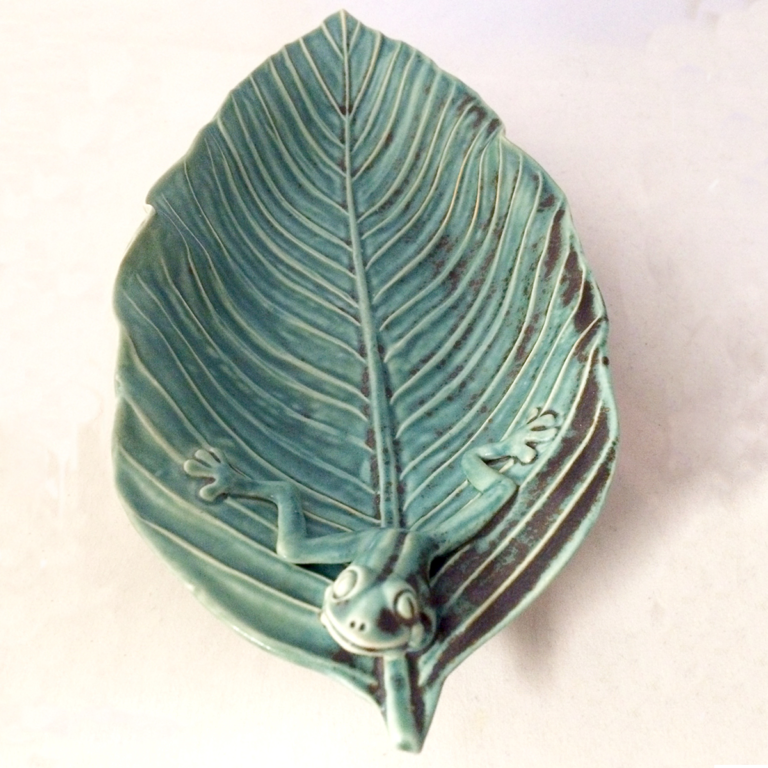 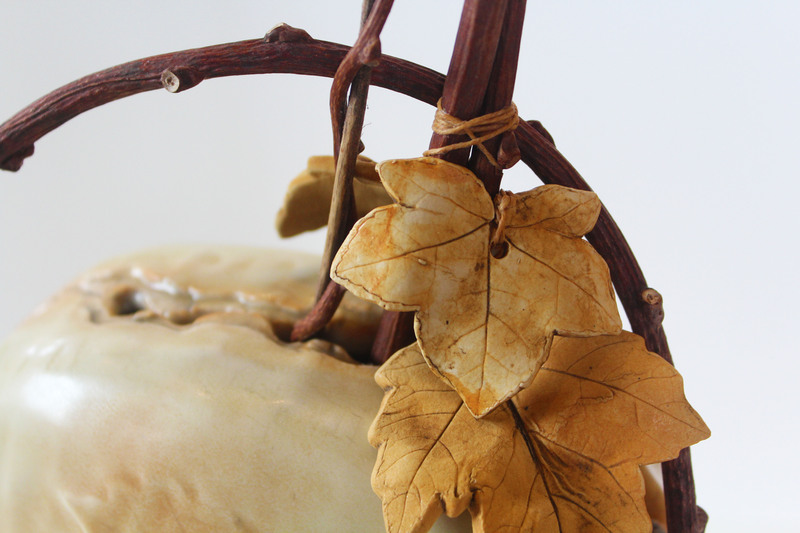 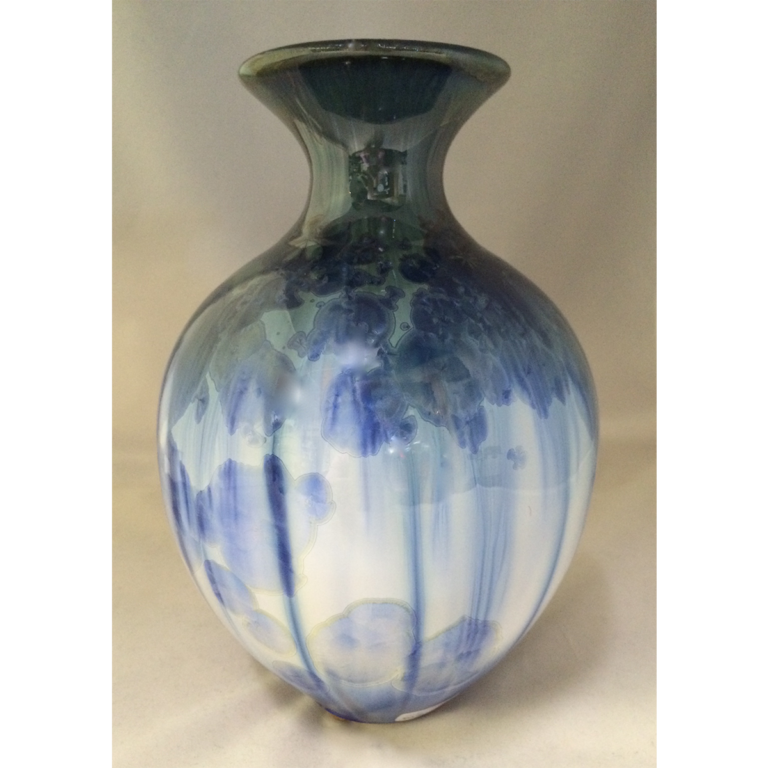 A full-time studio potter and pottery instructor, Elise Delfield makes unique and beautiful pottery that is appropriate for every day and special occasions. 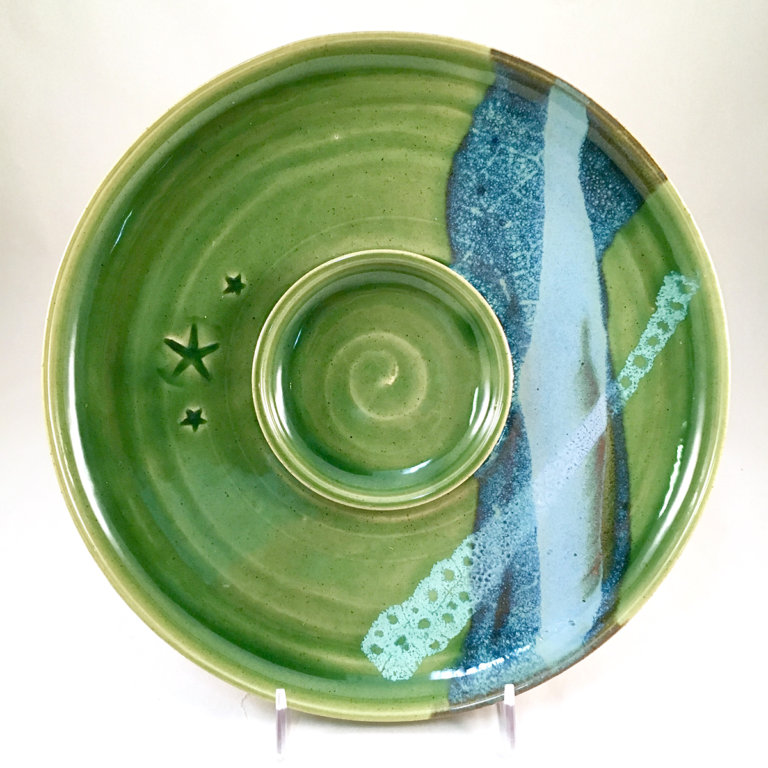 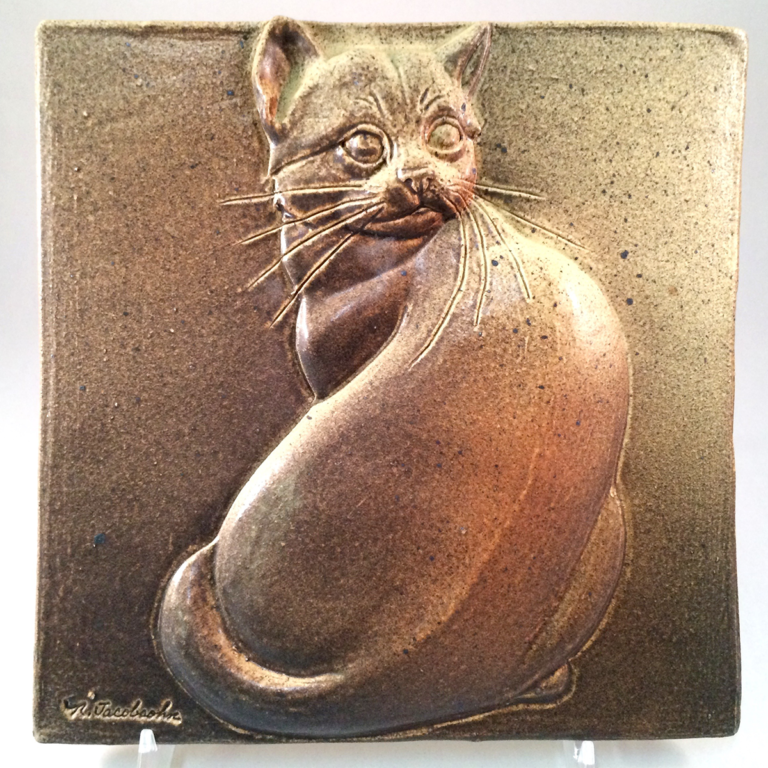 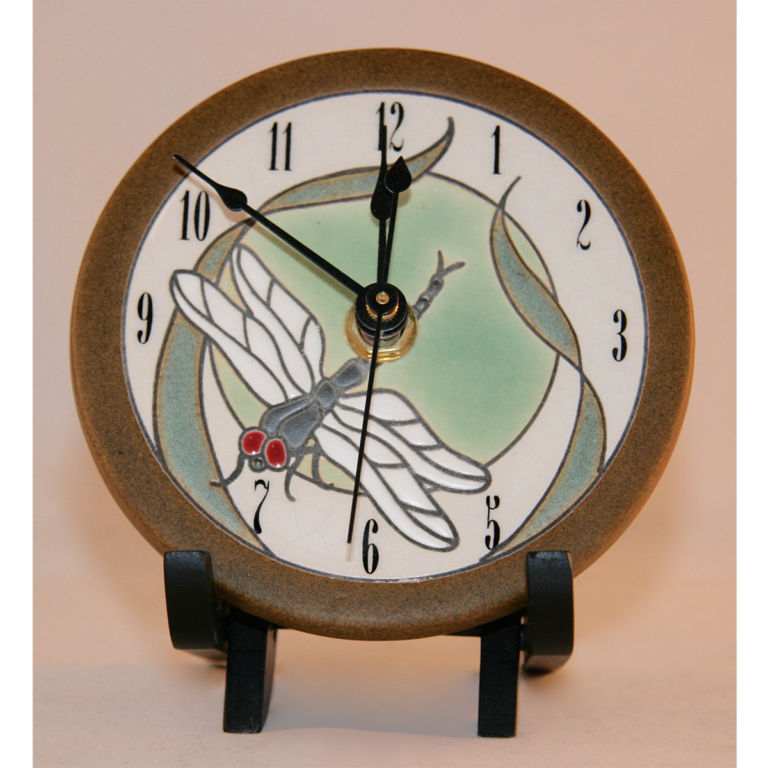 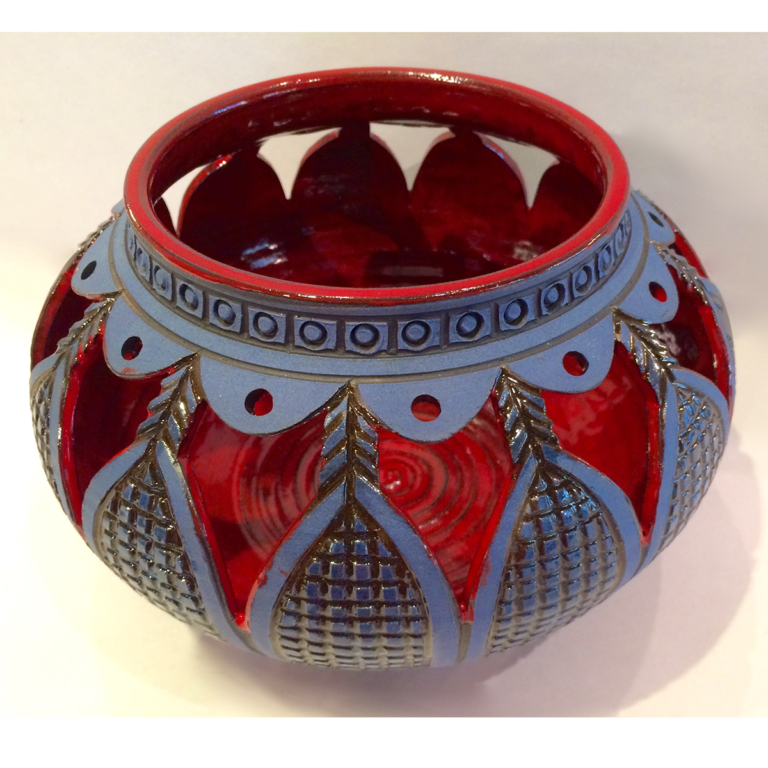 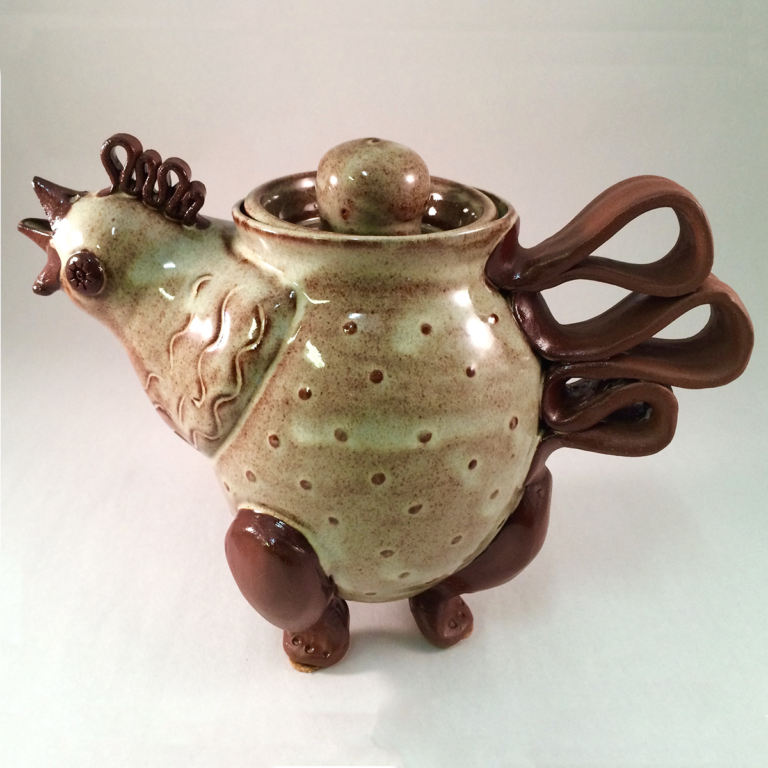 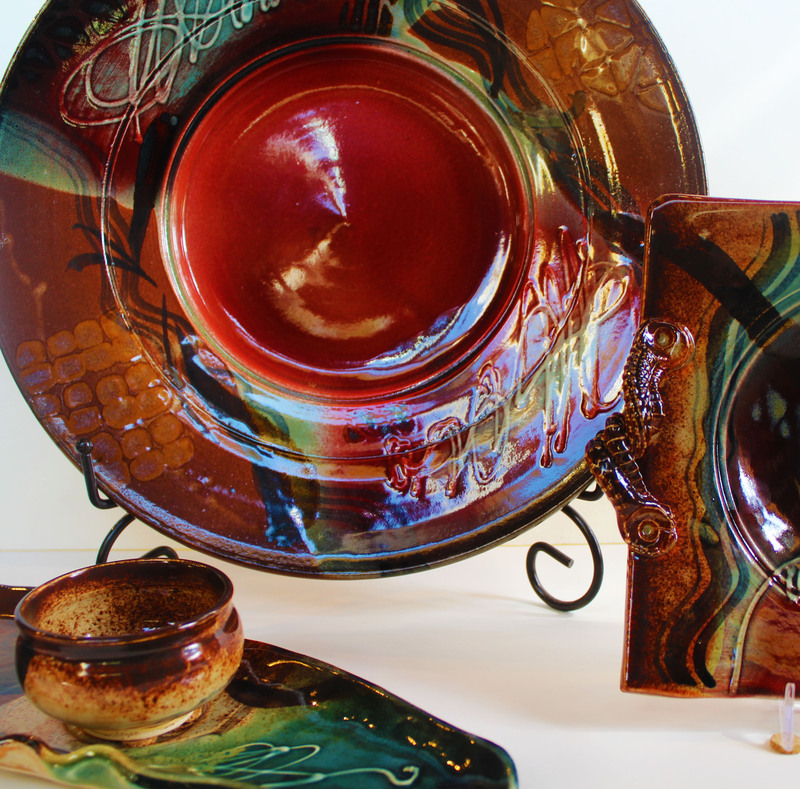 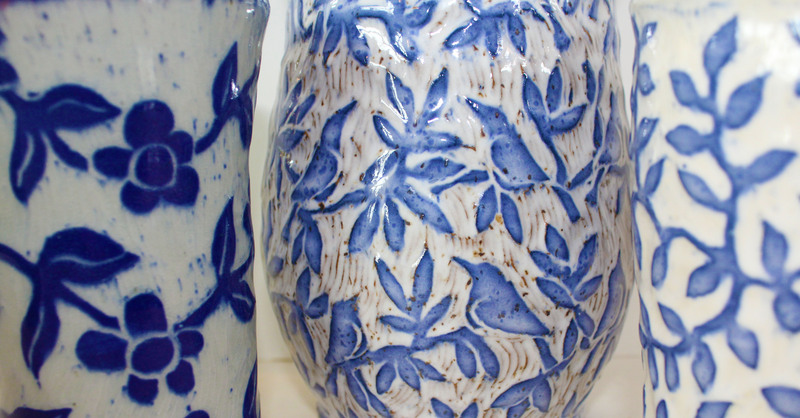 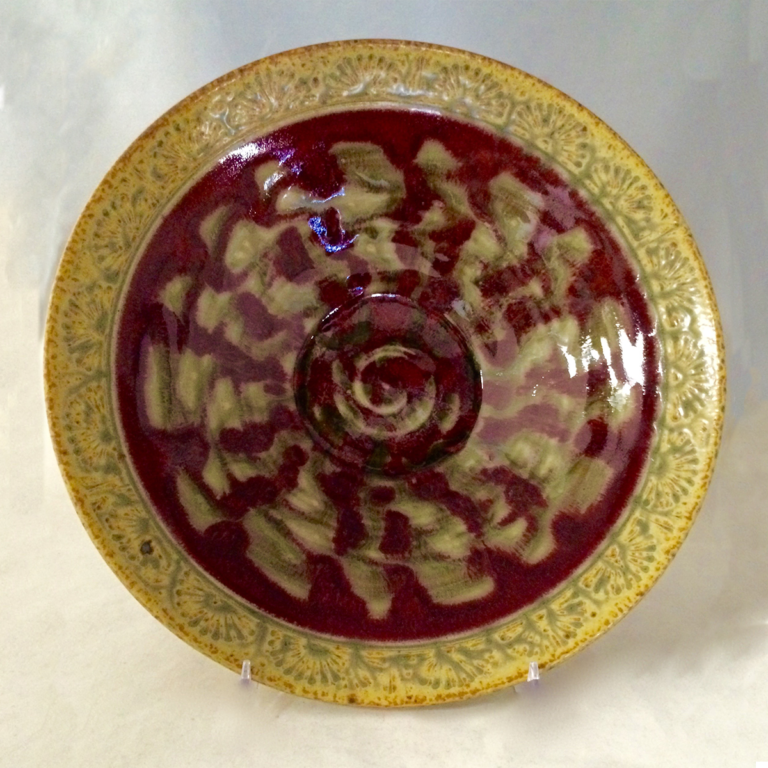 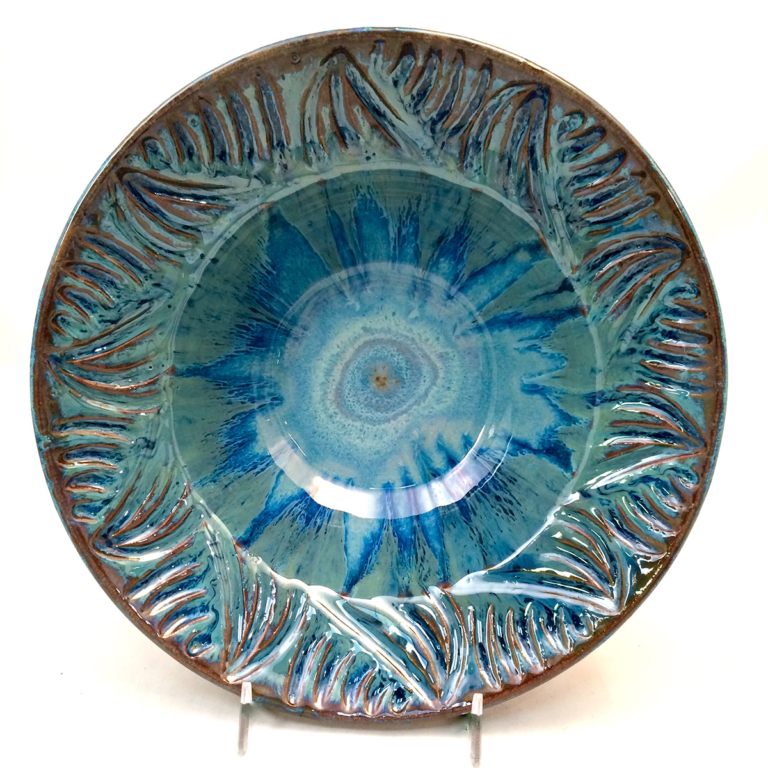 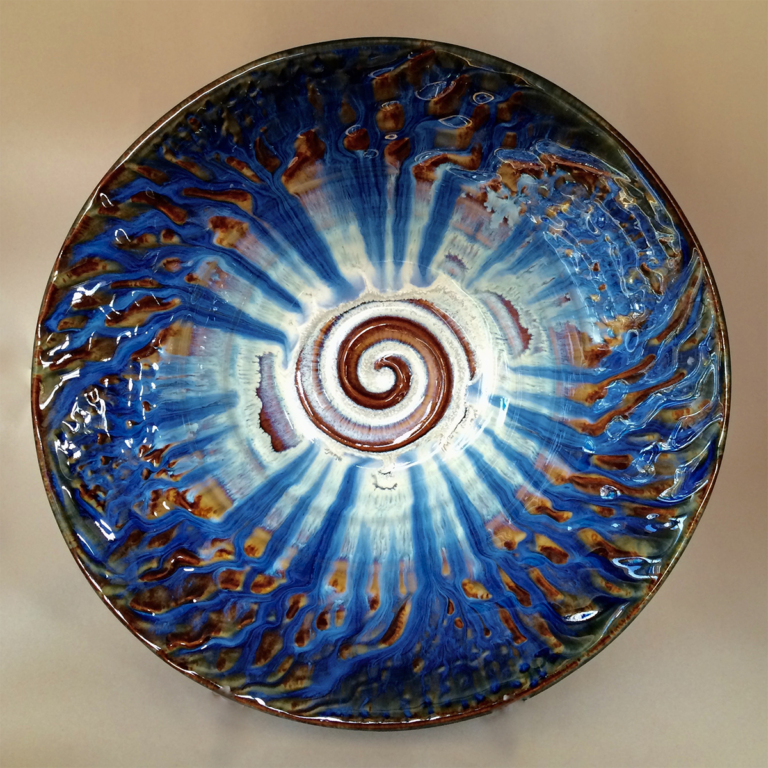 Her pottery is hand-crafted, either on the potter’s wheel or hand built. 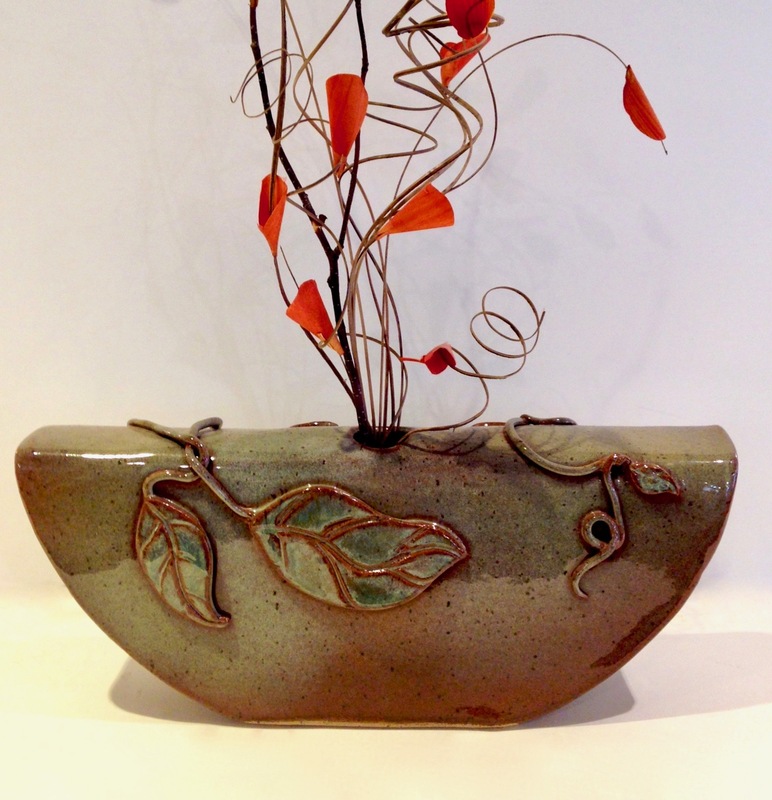 Elise uses red clay as a symbol of the red dirt under her feet in Western North Carolina. 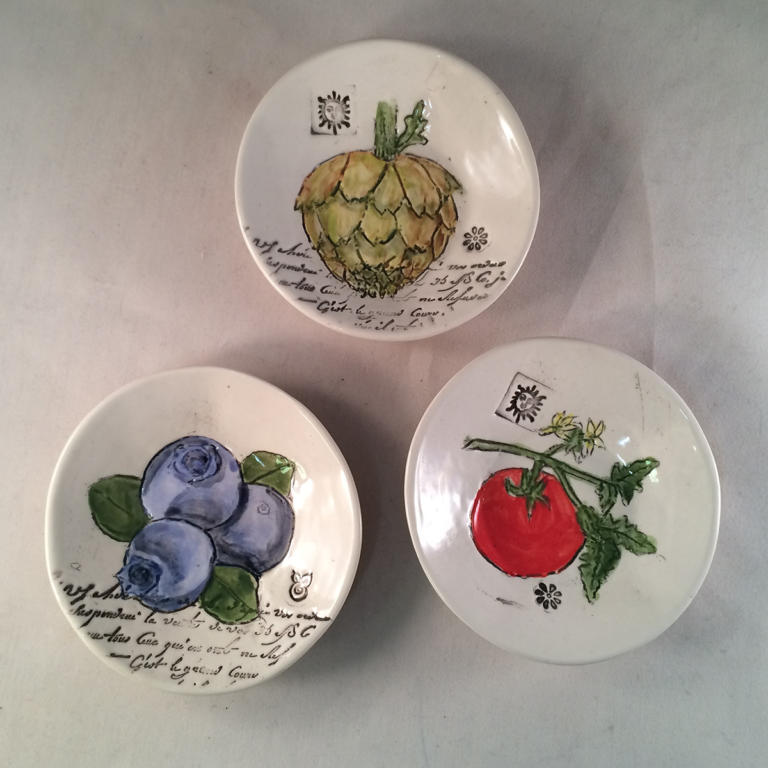 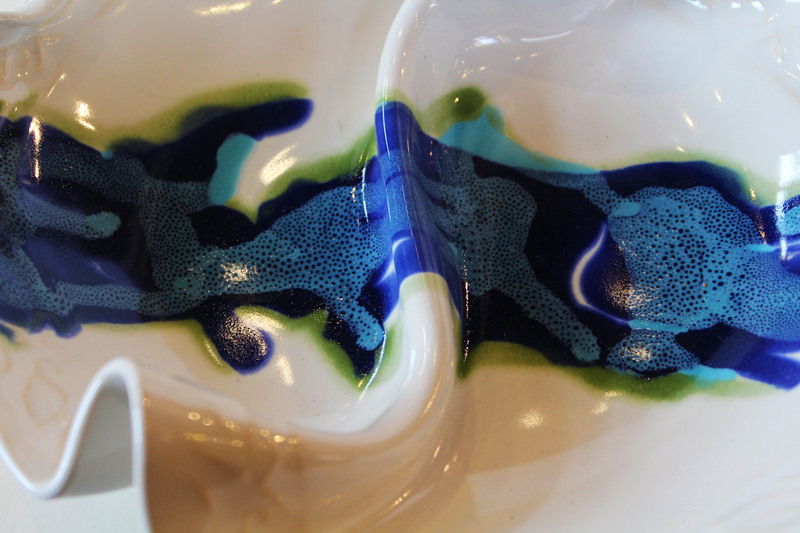 Before she glazes her pots, she paints each piece like a unique watercolor painting. 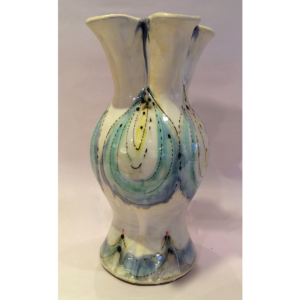 Elise is a member of the Southern Highland Craft Guild.